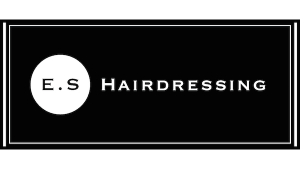 Stylist – from £25 Senior Stylist – from £27 Hair by Evan – from £36 Gents hair cutting using scissor over comb technique as well as clipping. Hair is washed and styled using Sebastian Professional products. Excluding Blow Dry – from £36 With Stylist Blow Dry – from £50 Disguise greys or change the colour of your own hair with Koleston perfect or Illumina. Change the colour /tone of your existing hair. Price on request as may vary due to length, style and previous colour. Please arrange a consultation on 01228 599571. Bespoke colouring using one or more techniques to add tone and contrast to your hair. Price on request as may vary due to length, style and previous colour. Please arrange a consultation on 01228 599571. Excluding Blow Dry – from £69 With Stylist Blow Dry – from £84 Woven foil highlights, using single or multi tone colours. from £55 (body wave) Spiral and long hair perms would be by quotation. Please arrange a consultation on 01228 599571.